This low-fuss dinner can be adapted to many types of fish. 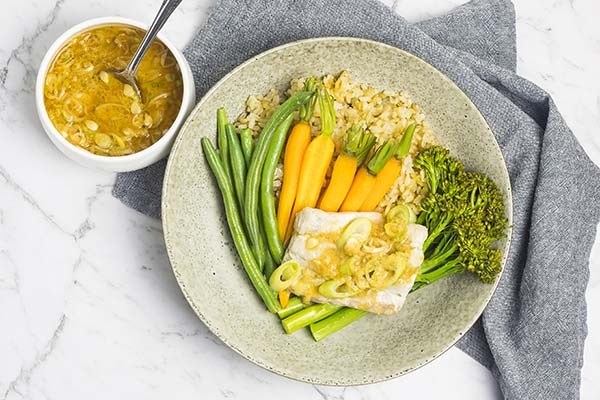 It’s a healthy and fast meal option which packs a delicious punch with an easy ginger miso dressing. 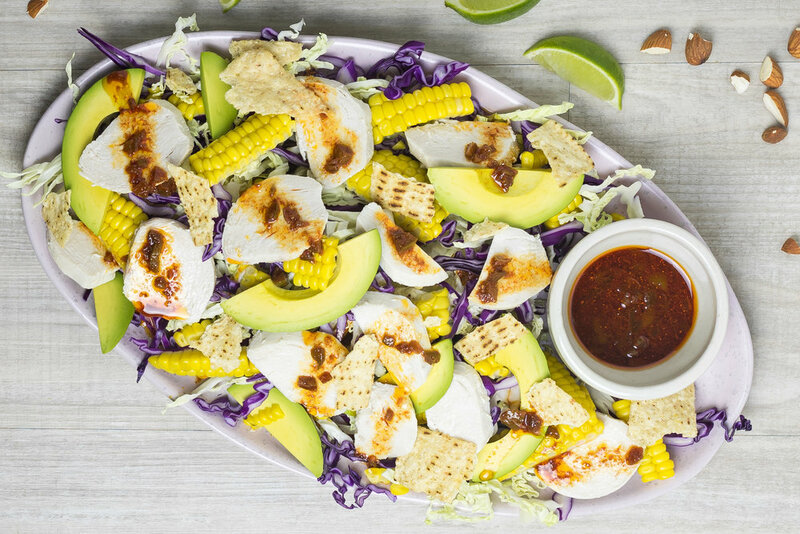 This brilliant salad mixes poached chicken with avocado and sweetcorn, crunchy cabbage, almonds and tortilla chips, topped with zingy jalapeno-spiked lime dressing. 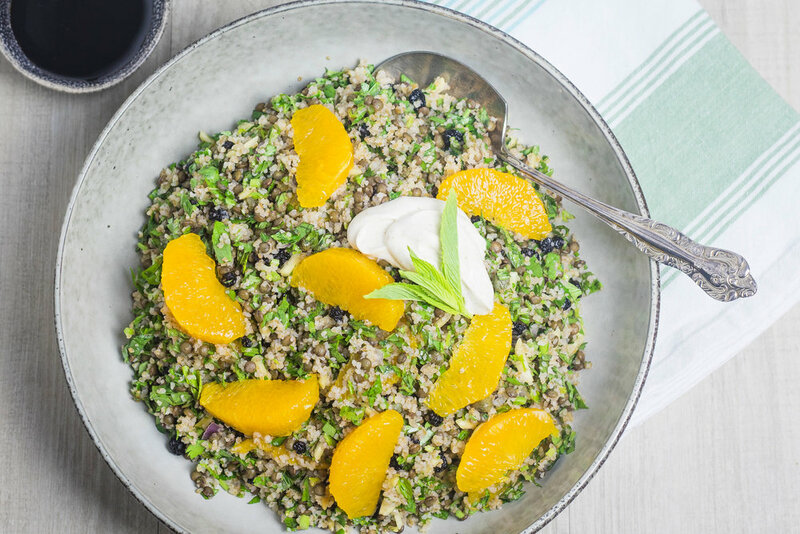 This bright, fresh salad full of grains, lentils, herbs and orange makes a brilliant side to roasted or grilled meats, and is substantial enough for a festive vegetarian main meal. 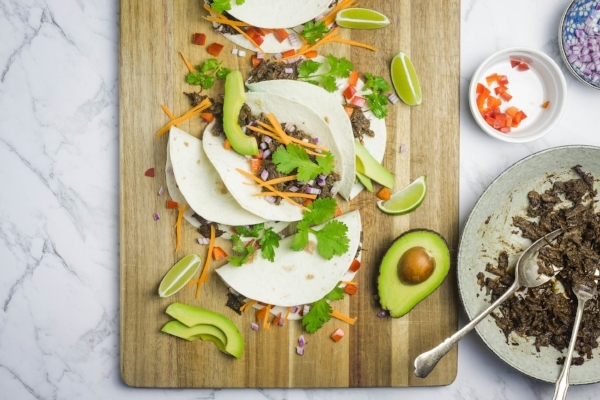 Easy prep and a long, slow turn in the oven make this Mexican-inspired beef into the ultimate sticky, savoury taco filling. It’s a fantastic make-ahead meal we can’t get enough of.